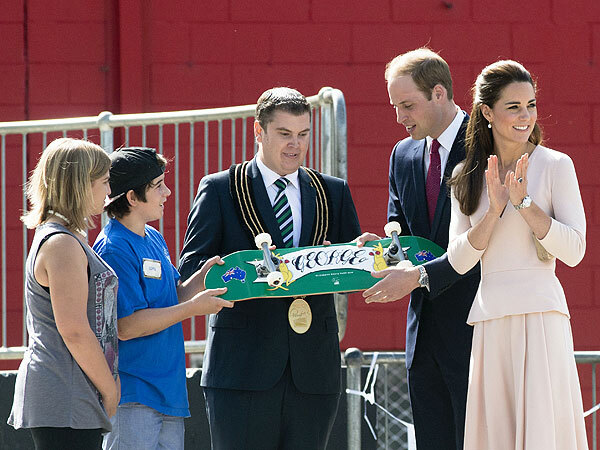 It seems that skateboarding is reaching such mainstream levels now that even the 9 month old Prince George received a deck as a present down under this week. Prince William was awarded the gift for his son in Elizabeth, South Australia last Wednesday that came with kangaroos and the Australian flag as a graphic alongside his name. Why go to so much effort when they could have given him this? In other royal news from Australia this week, Tas Pappas made his first 900 on the Megaranch making him the first Aussie to have that trick in his bag. Congrats mate.